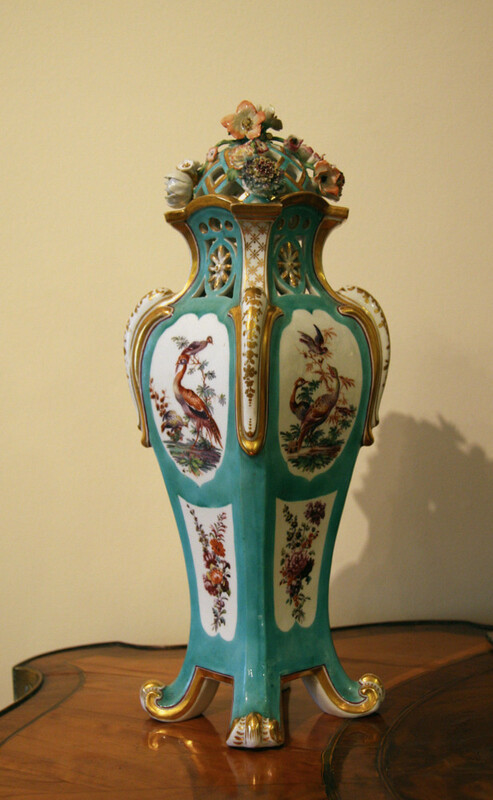 Nicholas Sprimont was the great Huguenot silversmith who established the Chelsea porcelain factory. 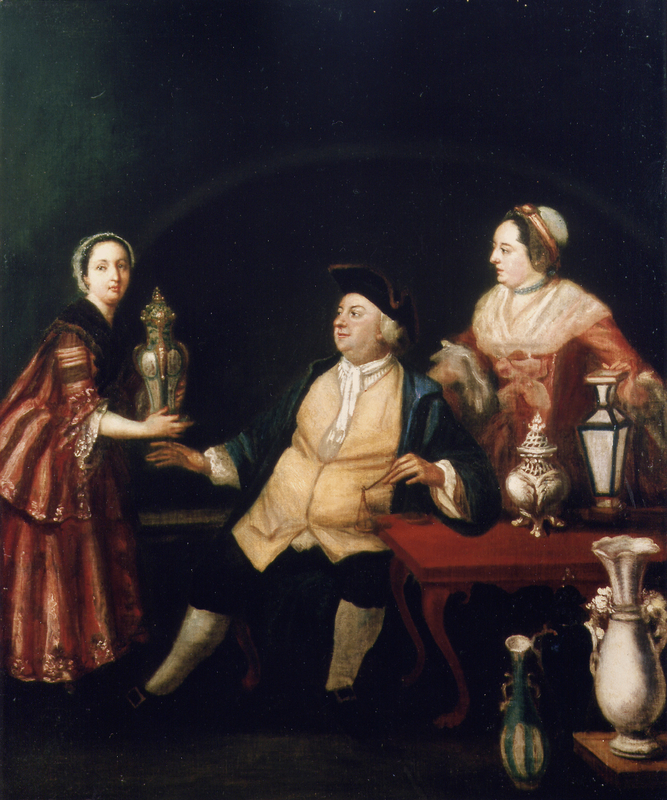 In this painting he is seen seated with his wife Ann and sister-in-law Susanna Protin beside unfinished Chelsea porcelain. 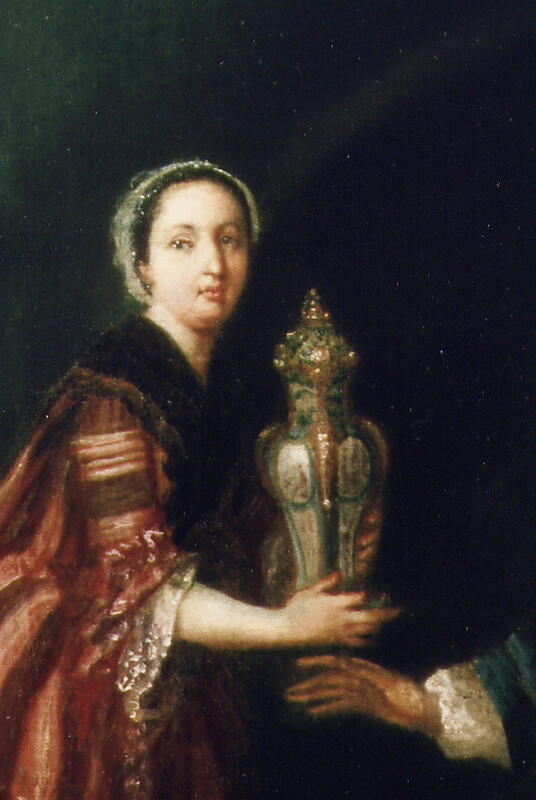 Sussana on the left is presenting Sprimont with the finished enamelled and gilded vase. This is the only known picture of Nicholas Sprimont.